Vintage weddings are still all the rage for 2013 – and it’s hard to image this trend will end anytime soon. I spoke with Jan and Sara of Relics Vintage Rentals, Milwaukee’s largest vintage rental company, located in Mequon. They are a full service rental company that specializes in vintage dishware, event decor, furniture and other large accessories. Below they share their top five rentals that couples just can’t get enough of. 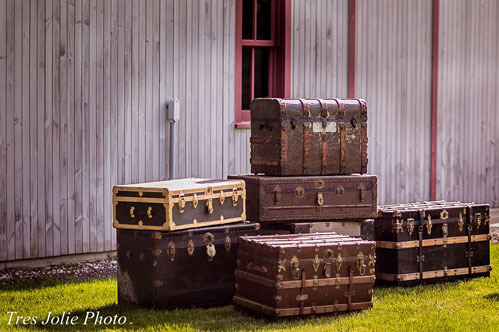 Vintage trunks: can be used as coffee tables, end tables and props in which the couple can sit at different levels, when stacked. 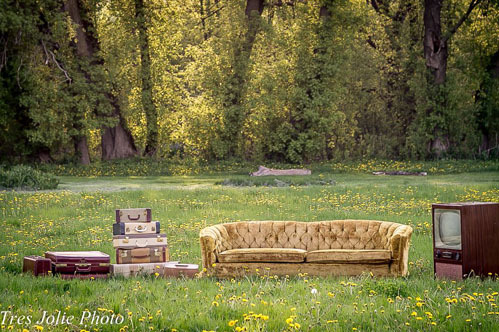 Couch, TV, and suitcases: these items can be used to create seating areas at the reception or for photo props for engagement photos, etc. 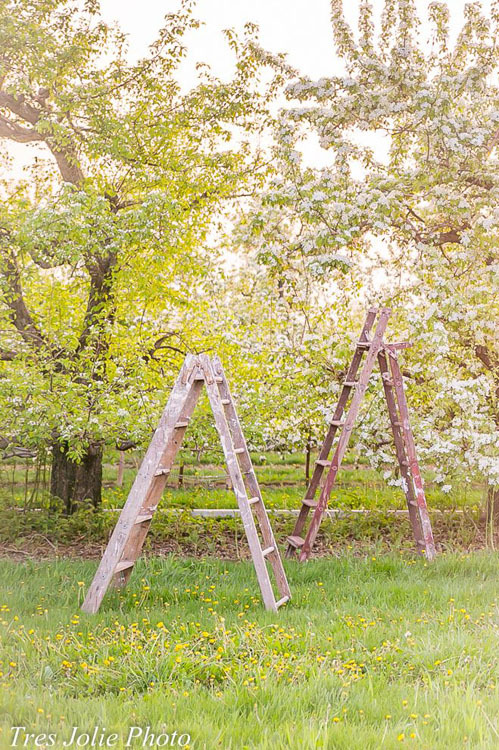 Ladders: can be used for photo props, shelving for hors d’oeuvres, drinks, etc. and much more. 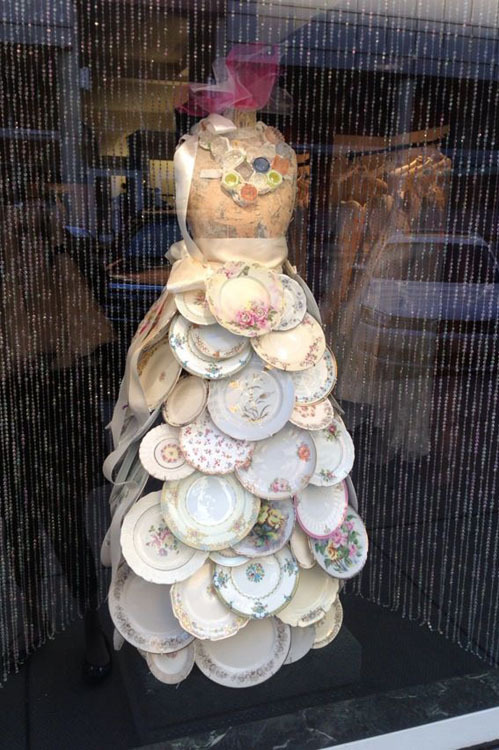 Mixed China dishware (displayed below as a dress): can be used at the reception, or other areas of the wedding. 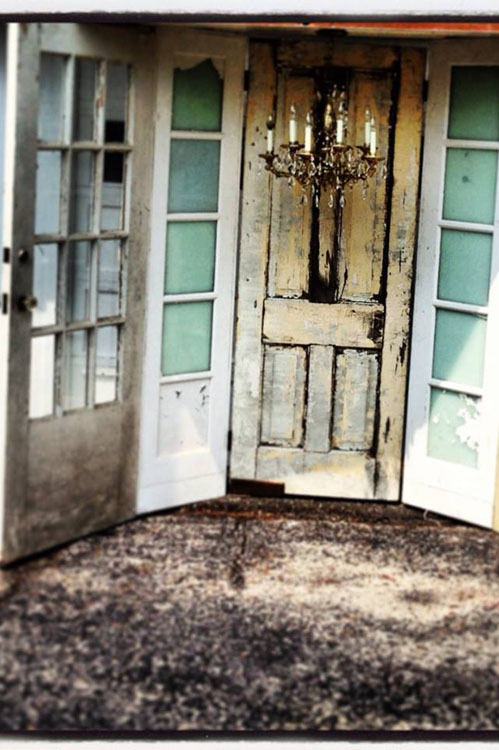 Door backdrop: can be used for photo opportunities or a photo booth. Couples can also place a buffet in front of the doors to display the wedding cake. Psst…see how couple Tiara & Torie used Relics rentals to create a beautiful and dreamy engagement session.